ISTA (International Schools Theater Association) is a non-profit, international, cultural and recognized philanthropic organization based in southern England. It is a community a young educators and artists that provide high-quality experiences, which develop creative learning and internationalism through the theater, with emphasis on diversity and cooperation, celebration and play, friendship and collectivity. 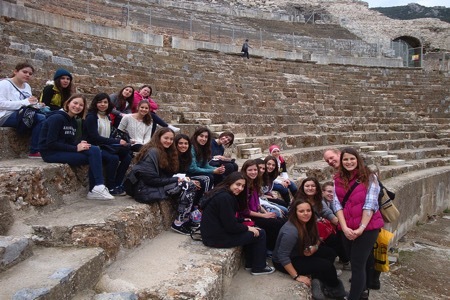 ISTA was hosted for the first time in Greece, March 7-10 Μαΐου 2015, on the campus of Pierce – The American College of Greece. See more here. 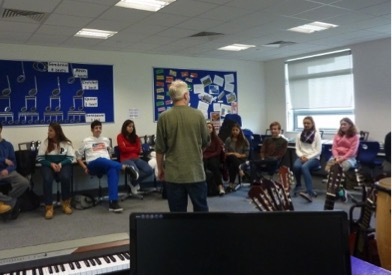 Through theater games and other artistic activities, students get to know each other and collaborate with their peers from other countries, and exchange views on issues of art and culture. Students are hosted in the homes of students of the school that is organizing the Festival, and end up making friends and creating artistic compositions, understanding the deeper meaning of art. The aims of the program, beyond celebration and play, are expression through art, collaborative work and learning, the cultivation of friendship and responsibility, the acquisition of experiences that will stay with students throughout their lives. In this context, ISTA produces more than 50 international artistic events each year for young people, educators and artists, and also offers ongoing professional development for teachers and artists. Pierce students have taken part in ISTA 2013 which was hosted by the American Collegiate Institute (ACI) in Smyrna in Asia Minor, in ISTA in the spring of 2014 which was hosted by the Take School, also in Smyrna, and in ISTA in the autumn of 2014 which was hosted by the Brannel School in Cornwall, England.